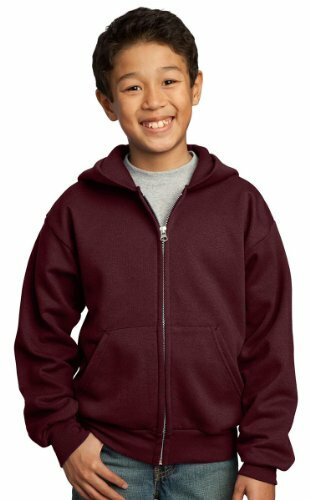 Style #: PC90YZH Nothing's better for chilling out than your favorite zip-up hoodie-at a budget-friendly price. 7.8-ounce 50/50 cotton/poly fleece Air jet yarn for a soft pill-resistant finish Two-ply hood No drawcord at hood Set-in sleeves Side seamed Front pouch pockets Due to the nature of 50/50 cotton/polyester neon fabrics special care must be taken throughout the printing process. If you have any questions about this product by PORT AND COMPANY, contact us by completing and submitting the form below. If you are looking for a specif part number, please include it with your message.